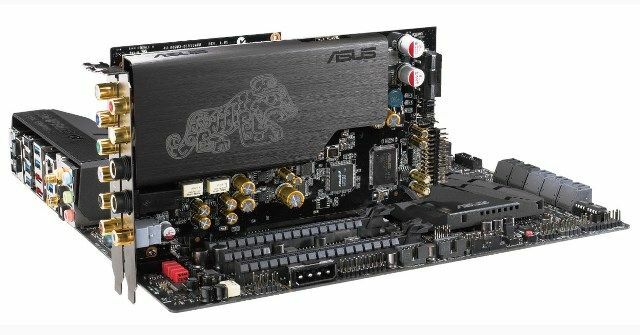 Asus has recently announced their latest Hi-Fi grade sound cards, the Asus Essense STX II and Essence STX II 7.1. These two sound cards are the successor of the previous Essence STX series, and features 124 dB signal-to-noise-ratio (SNR) clarity and a 600 ohm-headphone amplifier. Check out more details below. 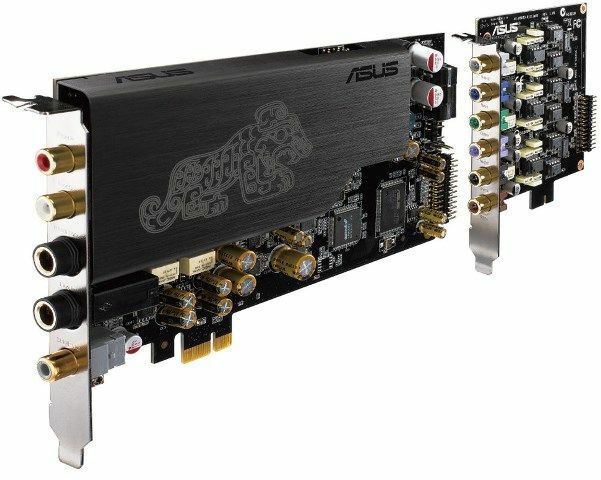 The Asus Essence STX II and STX II 7.1 build on the success and huge popularity of ASUS Essence STX – the world’s first consumer sound card to deliver 124 db SNR audio clarity plus 600 ohm headphone amp, and the long-term holder of the number-one position in Head-Fi’s Sound Cards charts, as voted by highly-satisfied users globally. Keeping the audiophile spirit and philosophy alive, the new Asus Essence STX II and STX II 7.1 cards both feature a remarkable 124 dB SNR for line-out connections and 120 dB SNR for headphone listening. Precision clock is controlled by a temperature-compensated crystal oscillator (TCXO) clock source, optimized power delivery is assured with low-dropout (LDO) regulators and WIMA capacitors deliver balanced sound. With an amplifier capable of delivering impeccable output for up to 600 ohm headphones, an additional gain control for in-ear monitor (IEM) headphones, high-quality MUSES operational amplifiers (op-amps) and an included op-amp swap kit, ASUS once again demonstrates its ability to redefine the sound card market. Essence STX II 7.1 even has the ability to output true 7.1-channel surround sound, via the included simple-to-fit daughterboard. Essence STX II and STX II 7.1 deliver industry-leading 124 dB SNR audio clarity, a much-envied quality inherited from the revolutionary and widely-acclaimed Essence STX sound card – and up to 64 times (64X) better than typical onboard audio hardware. Headphone output reaches a fantastic 120 dB. To attain the essence of sound, ASUS engineers equipped Essence STX II and STX II 7.1 with even more Hi-Fi-quality components. These include a premium TCXO clock source that ensures ultra-low jitter, high-fidelity LDO regulators for consistent linear regulation and German-made WIMA capacitors for a more balanced sound. The profound musicality that Essence listeners expect is encapsulated by celebrated MUSES 8920 and MUSES 8820 op-amps, which deliver true-to-life tonality and spacious sound imaging. Both the Asus Essence STX II and STX II 7.1 benefit from swappable op-amp sockets and come with a swap kit that includes three additional op-amps – two Texas Instruments LME49720s and one MUSES 8820 – that allow users to create different timbres and tonal combinations. The swap kit includes a clamp tool that makes it easy to remove the op-amp microchips. Exclusive to Essence STX II 7.1 is a multichannel daughterboard that delivers true 7.1-channel surround with high-fidelity 120 dB SNR outputs. This easy-to-fit daughter board slides into a slot adjacent to Essence STX II 7.1, so installation couldn’t be more convenient. Each channel is fully customizable with nine swappable op-amp sockets – giving audiophiles complete freedom to create the perfect surround-sound experience for their ears and listening environment. In their mission to create peerless sound output ASUS audio engineers study and consider all aspects of product design – attention to detail that shines through both Asus Essence STX II and STX II 7.1. The built-in headphone amplifier supports up to 600 ohm impedance – so audiophiles can plug in the finest high-impedance headphones to enjoy the pure quality delivered by Asus Essence STX II and STX II 7.1. ASUS engineers have also furnished the new cards with an additional gain control designed especially for high-sensitivity IEM headphones, allowing musicians, audio purists and everyday listeners to use snug-fitting earpieces that channel audio output straight to the ear canal – isolating ambient noise for clear sound and undisturbed listening experience. The cards also benefit from a software package that includes a full version of Dolby Home Theater, an advanced software suite that turns a PC into a dedicated home-theater center with enhanced surround sound.